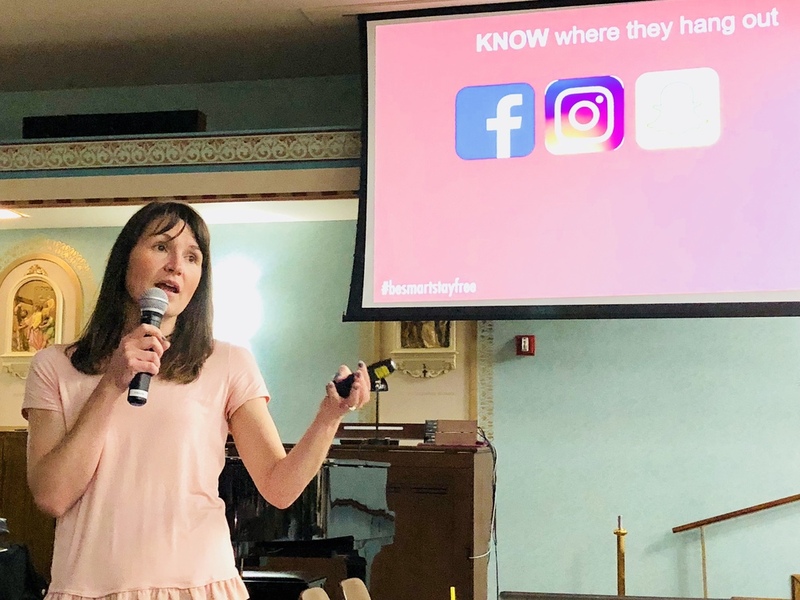 An awareness talk on internet safety and human trafficking was presented in the church sanctuary on April 6 by Ms. Gretchen Smeltzer. She's the founder and director of "Into the Light," a faith-based non-profit group that advocates for survivors of human trafficking in Arkansas. The latter is essentially modern-day slavery with the purveyors using force, fraud or coercion to exploit people for immoral purposes. The victims are frequently young teens.